Chai is the ying-yang of teas: it both calms and energises, relaxes and inspires, warms in winter, and cools on a sweltering hot summer’s day. 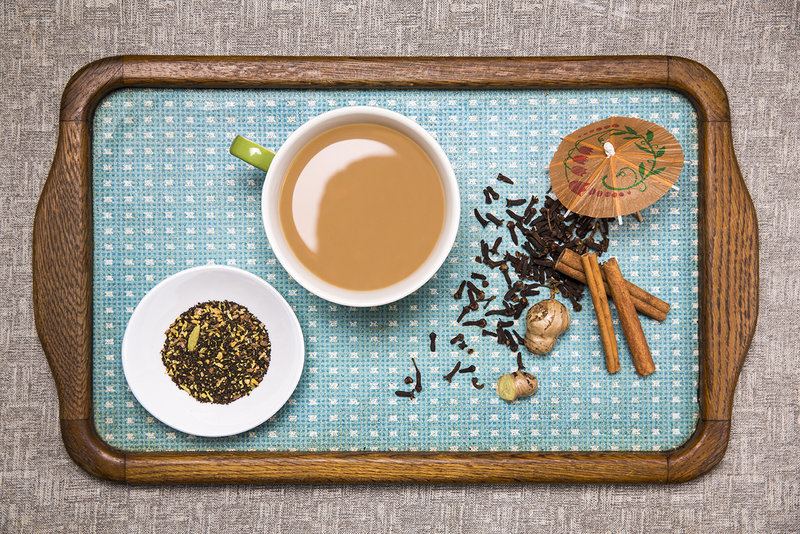 Originally known as masala chai, which is Hindi, Urdu and Nepali for “mixed spice tea”, it traditionally blends black tea with Indian spices. For me it is the most comforting of teas: the rich flavours remind me of the spices used to embellish alcohol and food during my annually celebrated Swedish family Christmas, so it’s no surprise that it’s often lovingly referred to as ‘Christmas in a cup’. Most westerners (including myself) were introduced to masala chai via the chai latte – the non-coffee alternative to the latte, most commonly concocted using chai flavoured syrup and frothed milk when served up in cafes (I’m not dissing chai syrup here, some chai syrups (especially homemade) are incredible). When chai teabags first started appearing on supermarket shelves I switched my morning cup of office Earl Grey to a chai. I’ve since tried blending my own chai, but I think my true blending moment will come after my trip to India next month. I picked up this box of Zanzibar Chai by Australian tea company Kettle Town at the Sydney Tea Festival several months back (yes, another Aussie tea review!) . Of all the chais I tasted/ inhaled at the festival, this one was the most unique. Upon opening the package, a fiery, peppery aroma escapes the brown paper box and fills my nostrils and my kitchen: spicy, not sweet like your typical chai teabag or café syrup. The black tea is fine and blended with small lumps of ginger along with cloves, cardamom and peppercorns. When I dash a teaspoon into the teapot and douse it in hot water (boiled to 90 degrees) the aroma turns to sweet cinnamon: that reassuring Christmas smell. 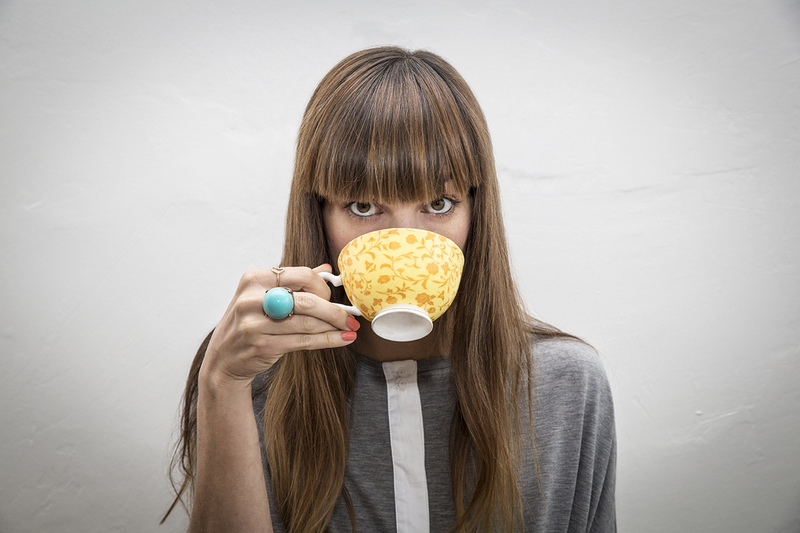 As I bring the teacup to my lips, I’m comforted by both the aroma and taste fine black tea and cinnamon. But not for long: the other spices take over like a cold slap in the mouth: ginger, aniseed and clove cool the tastebuds, while the pepper gives it a final kick. I polish off the cup and am left feeling refreshed and wanting more. 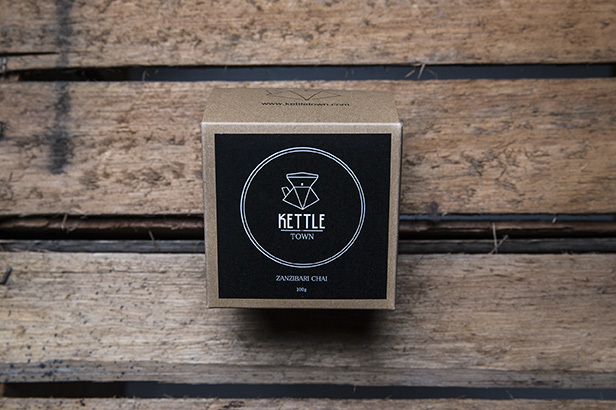 I love that Kettle Town took inspiration from Zanzibar when creating this tea: the East-African archipelago known for producing spices like black pepper, cinnamon and cloves. Like I mentioned, chai cools when you’re hot, and this tea really hits the spot on a sweltering summer’s day (we’ve already experienced a few of those in Sydney this spring), just as I’d imagine it would on a tropical beach in exotic Zanzibar. This is not a sweet chai: add a teaspoon of honey if you like it sweet, but I prefer ‘as is’ to relish the the full assault of flavour. Can’t wait to try this iced! Will update as soon as I do. Best sipped under an umbrella on a sweltering day, mid-morning, with a slice of banana bread. Oh – and this tea is great value at $12 per 100 grams. From the Kettle Town website. Spring arrived out of nowhere today. The sky turned to a pale hazy blue, the sun morphed into a white-golden blur and the air became thick with the buzz of crickets, birds and cicadas. For the first time in a while, the asphalt warmed my bare feet. Later in the evening, the air is balmy and still, the insects sing, mosquitoes nip at my ankles and moths charge at the window pane. I’ve been waiting for a magical, light-filled evening such as this to try out a new tea. Several weeks back, I asked my husband, in the midst of a trip to Melbourne, to visit a tea room I had discovered on Instagram. I stumbled across Storm in a Teacup when I searched for the song of the same name. To my delight, the user turned out to be a tea blender and tea room/ bar based in Collingwood, Melbourne (@tea_room_bar). Upon opening the packet, I was greeted by the familiar sweet scents of lemon, mint and what can only be compared to as fresh hay. 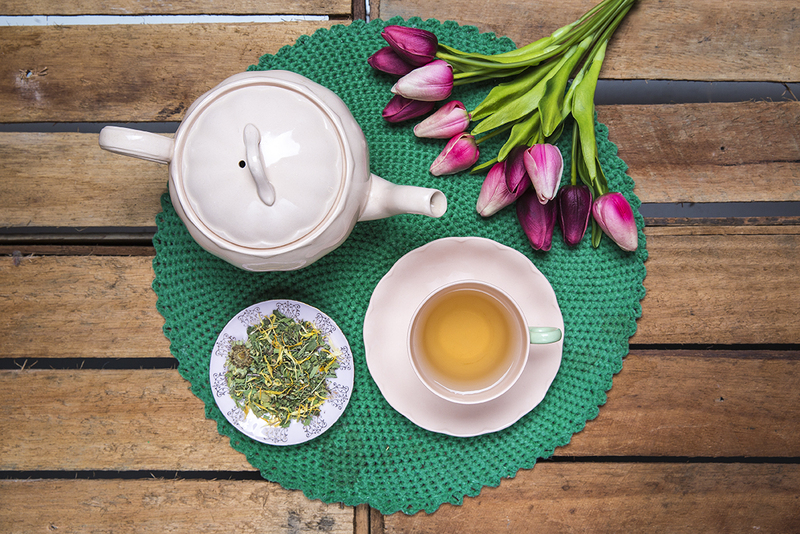 Not only does this tea smell like spring, it looks like spring. Inside, I found a pretty mix of dried green leaves, yellow petals and whole calendulas. After steeping the tea for the recommended two minutes, the calendulas literally blossomed in my teapot. The tea sparkled with a golden-sunshine hue. Initially, the taste was sweet with mellow floral undertones. As I swirled it across my tongue, the distinctive yet subtle flavours of lemon balm, clover and calendula emerged. As I set my teacup back down, I was left with the reassuring cooling of spearmint. 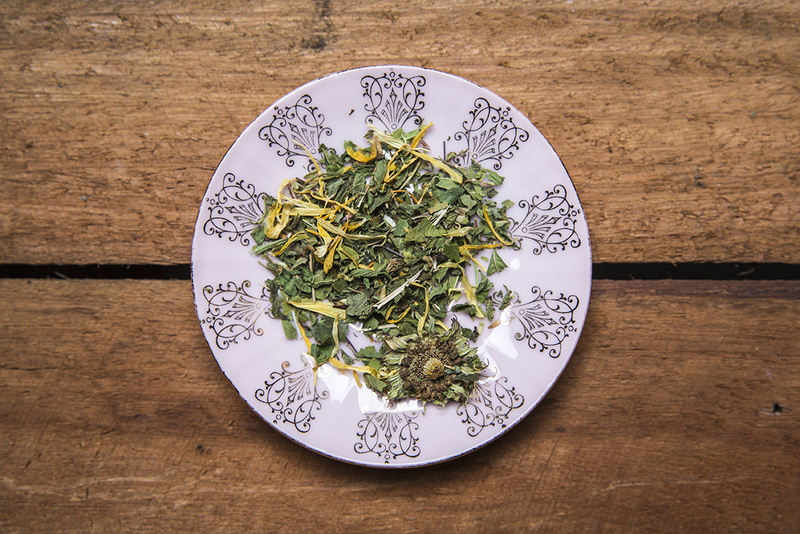 A subtle and refreshing herbal tea, perfectly suited to the nurturing season of spring. A fantastically well thought-out blend (created by naturopath Misha Moran) to detoxify and balance the body. I actually prefer it iced to hot. I steeped the tea for a second time, this time for a little bit longer (3 minutes) and added a couple of lemon slices and fresh mint from the garden. I then placed it in a jug inside the fridge for 3 hours, bottled it and took it to yoga – where it kept me energised and refreshed throughout the class. A fantastic fitness alternative to water or energy drinks! Where to buy? 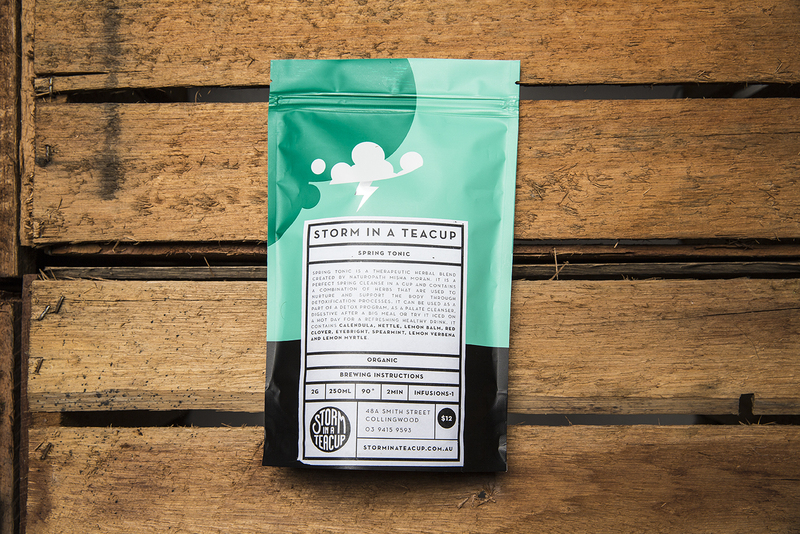 Visit Storm in a Teacup online, or if you’re in Melbourne head to their Tea Room and Bar in Collingwood. Never in a million aeons did I ever think I’d learn to like liquorice. Growing up with a Swedish grandmother, I spent Christmas-after-Christmas surrounded by Scandinavians diving into tins of liquorice allsorts, twists and even SALTY liquorice. I fell in love with liquorice tea quite by accident, after ordering a pot of cinnamon tea from a local café. It had a sweet, buttery aftertaste that I immediately fell head over heels for. Later, when I stumbled across that same tea in a health food store, I was flabbergasted to discover it contained liquorice root. What, me?! Like… liquorice? What’s the deal here? 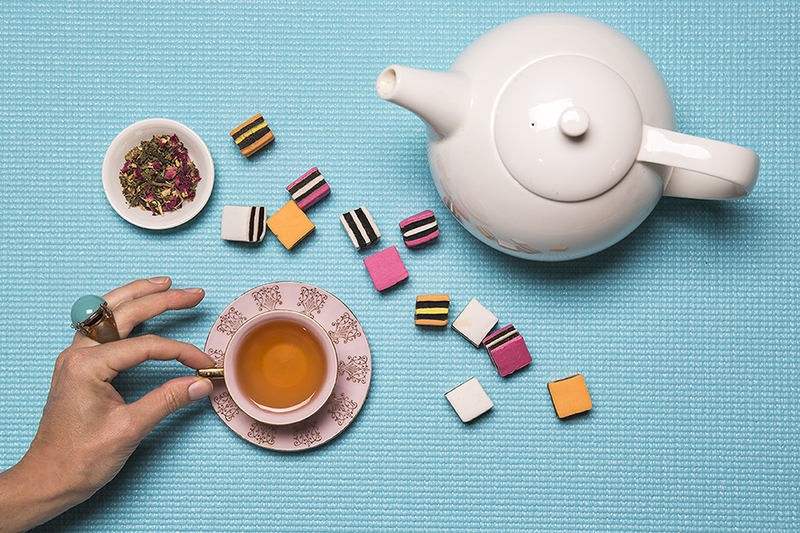 How can a liquorice hater love liquorice tea? So I did some research: while both candy and tea are made with liquorice root, aniseed oil is added to liquorice confectionary to reinforce the liquorice flavour. Or ruin it, as far as I’m concerned! So all this time, it wasn’t the poor liquorice that was the problem: it was the aniseed oil, or possibly just the combination of the two. And considering liquorice is so polarising, I’m presuming there are a great deal of people out there, who like me, wrote off liquorice tea and are missing out. So why do I love it so? Liquorice root tisane has an initial salty, mineral taste, which gives way to a sweet, soft, mellow flavour. My favourite part is the aftertaste: buttery, sweet and delicious, it lingers and tingles on the tip of your tongue. It’s also good for you. Liquorice root tea has been used medicinally for centuries. It is said to treat upset stomach and heartburn, reduce inflammation, and treat the common cold. And that sweet flavour is not sugar but the liquorice root itself, which is up to 30 times sweeter than sugar cane. Loose leaf, straight up liquorice root from Egypt. Pyramid teabags containing large pieces of liquorice root, organic peppermint leaves, Australian aniseed myrtle leaf and whole fennel seeds. I picked this one up at a market in the UK. Loose leaf tea. 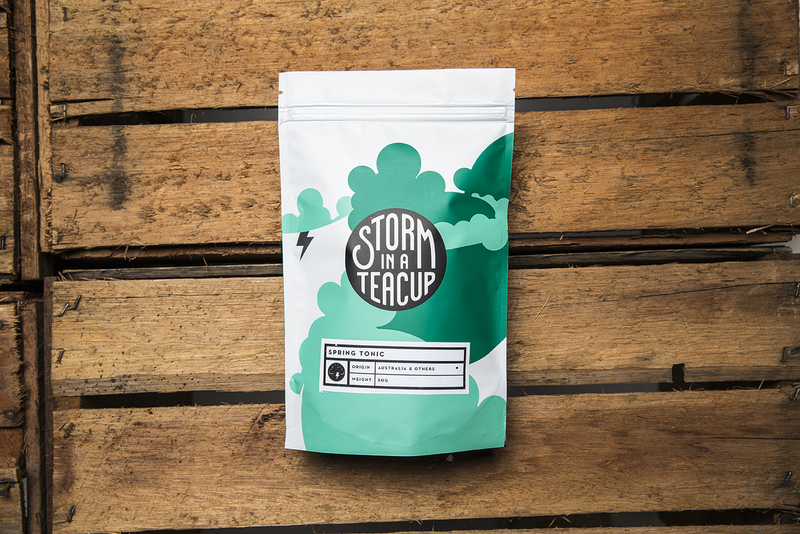 Ingredients: black tea, peppermint, rose and small pieces of liquorice root. Teabags. Ingredients: cinnamon, whole fennel seeds, liquorice, citrus peel and ginger. Loose leaf tea. Ingredients: liquorice root, peppermint and fennel. Today I embarked on my first official Tea Lady tasting, armed with a cast-iron teapot, kettle, teacup and a fresh package of unopened tea. I picked this one up at the Sydney Tea Festival a few weeks ago, after masochistically imposing a hideous rule upon myself: to purchase just one pack of green tea. Spoilt by choice, I circled several laps of the hall before following my gut instinct (and nose) to the Perfect South stand, where I decided on a 50ml pack of Australian-grown Genmaicha. Genmaicha is my most beloved type of green tea. It’s a Japanese style that combines green tea leaves with roasted Japanese brown rice, a flavour pairing made in heaven. It’s often referred to as ‘popcorn tea’ because the rice pops during the roasting process. Steep: 1 min (recommended brew time for Genmaicha is 30 secs- 1 min). Inside the brown paper packet I found small, dried yet fresh shincha leaves (tender new sencha leaves picked at the beginning of the harvest), stalks, and a wonderful amount of toasted brown rice. The tea to rice ratio (2-1) was perfect, the caramel-coloured rice puffs roasted to perfection. Upon brewing the tea, the rice absorbed the water and became edible. The aroma from the teapot, both salty and sweet, made my stomach growl: hints of brown rice and seaweed echoed the smell of a sweet miso soup. The liquor, when poured into my cup, sparkled with a light golden hue. Tasting this tea took me on quite the journey: initially, the taste was subtle, slightly salty and grassy. Vegetal tones emerged as I swirled the liquor around my mouth. The familiar, slightly astringent taste of high-quality sencha, similar to that of spinach, emerged, but this was just a flash in the pan before the rice took over: salty and nutty to begin with, ending slightly sweet, toasty and buttery on the tip of my tongue. Like…. popcorn?! This winning combination of salty and sweet was marvellously moreish, and I immediately boiled the kettle for a second cup. Possibly the nicest Genmaicha I’ve ever tasted, and homegrown to boot. 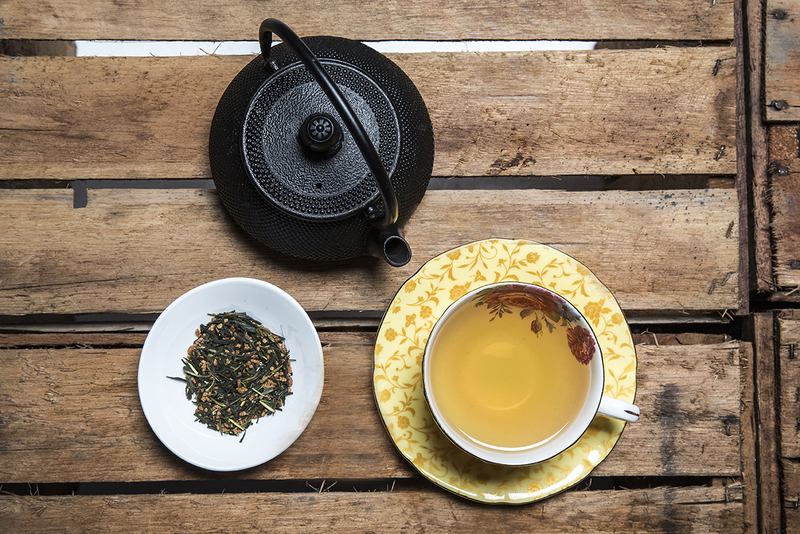 Who’d have thunk Australian-grown green tea could taste this good? Similar to Japanese-grown green tea, but something was definitely different, although I’m failing to place my finger/ tastebuds on it. Perfect South grow their tea leaves in the the sub-alpine valleys of Victoria, in a climate they claim is similar to that of the tea-growing regions of Japan. I was told that they sell only their two most recent harvests of shincha leaves, which explains the freshness. A high-quality green tea that takes you on a superbly well-thought out journey of flavours. I love the packaging – simple and practical with no unnecessary extra bits to throw away. Where to buy? Visit Perfect South’s website.